Secure online transactions and applications in minutes with a fully functional 30 Day Free Trial SSL Certificate, enabling up to 256 Bit encryption on web browsers and mobile devices. Within minutes of your order your website can be secured and ready for e-commerce transactions. Your Free Comodo® 30 Day Trial will be delivered to you through the world's fastest SSL Certificate provisioning system. The fully automated authentication and issuance process verifies that you have administrative rights to the domain listed in the SSL Certificate. Once you have placed your free trial order it only takes a few moments to complete the validation requirements via an automated online validation process, your fully functional trial SSL Certificate will then be instantly issued. When you buy a Comodo® 30 Day Free Trial Certificate you can be confident that your SSL Certificate will be trusted by all modern devices and web browsers. Great News! Your SSL Certificate will be issued by Comodo® using our fully automated fulfillment system. Comodo® are a leading SSL Certificate Authority. 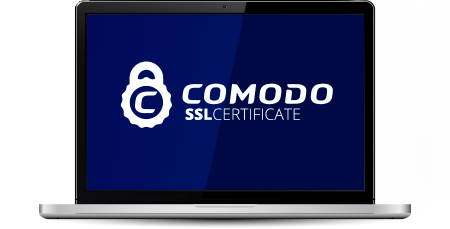 The Free Comodo® 30 Day Trial SSL Certificate can be installed easily on any server, service or device that supports the use of an SSL Certificate. There's no credit card need and no commitment. Our unlimited reissuance policy for Comodo® 30 Day Trial means that we will reissue your Comodo® 30 Day trial Certificate free of charge for the life of the SSL Certificate validity, for any reason. Comodo® 30 Day Free Trial can be installed easily on any server that supports the use of an SSL Certificate.